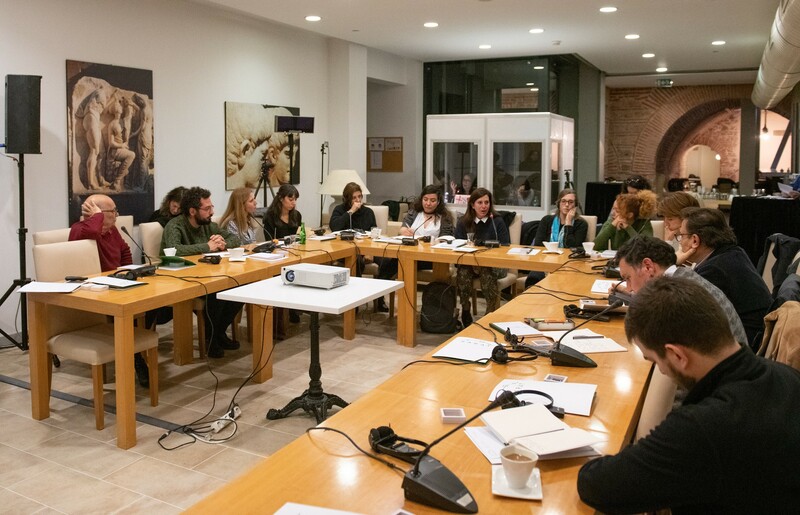 The gathering “Journalists and Archaeologists Come Together” took place at Koç University’s Research Center for Anatolian Civilizations (ANAMED) on Saturday, 8 December. 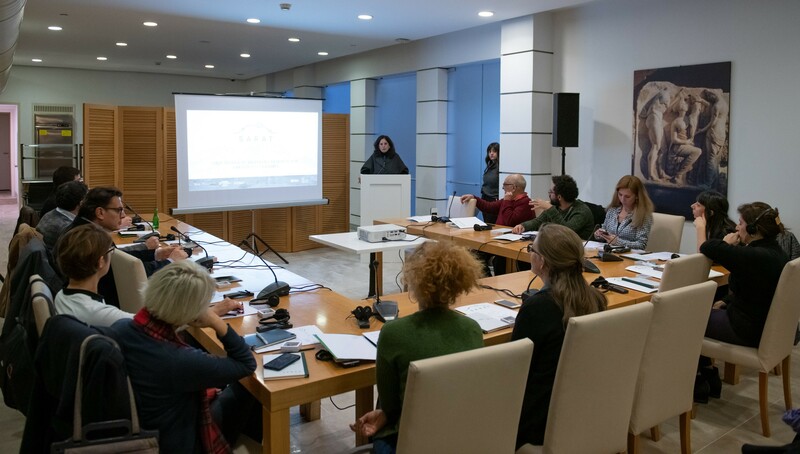 Taking part in the meeting were freelance journalist Ayla Jean Yackley, Deniz Genceoğlu from the magazine Aktüel Arkeoloji, archaeologist Elif Koparal from Mimar Sinan University, archaeologist Gül Işın from Akdeniz University, archaeologist Haluk Sağlamtimur from Ege University, National Geographic Turkey Editor Kemal Gözegir, TV Medyascope Producer Ozan Sağsöz, journalist Tuğrul Eryılmaz, journalist Uygar Gültekin from the newspaper Agos, Head of the Turkish Archaeologists Association’s İstanbul branch Yiğit Ozar, Başak Emir from the Association for the Protection of Cultural Heritage, Associate Professor Christina Luke from Koç University, ANAMED Manager Buket Coşkuner, and ANAMED Fellowship and Administrative Coordinator Duygu Tarkan. 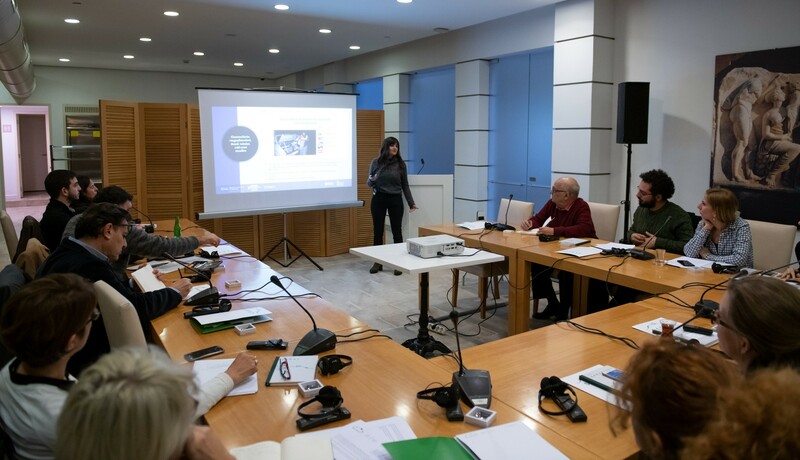 Following SARAT Project Coordinator Gül Pulhan’s opening remarks, SARAT Media Specialist Nur Banu Kocaaslan delivered a presentation on problems that are encountered when media report archaeology-related news. After her presentation, guests from both sides shared their own anecdotes and views concerning the matter. 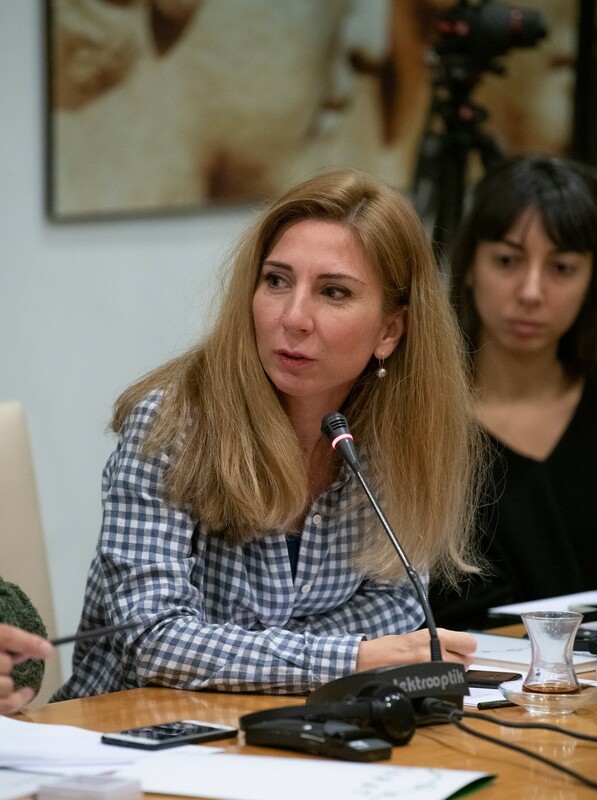 Among the many issues that were discussed were such things as headlines that encourage treasure-hunting, restoration-related reporting, difficulties that journalists have in accessing accurate information, problems with terminology, and social perceptions of archaeologists as professionals and of archaeology as a science. 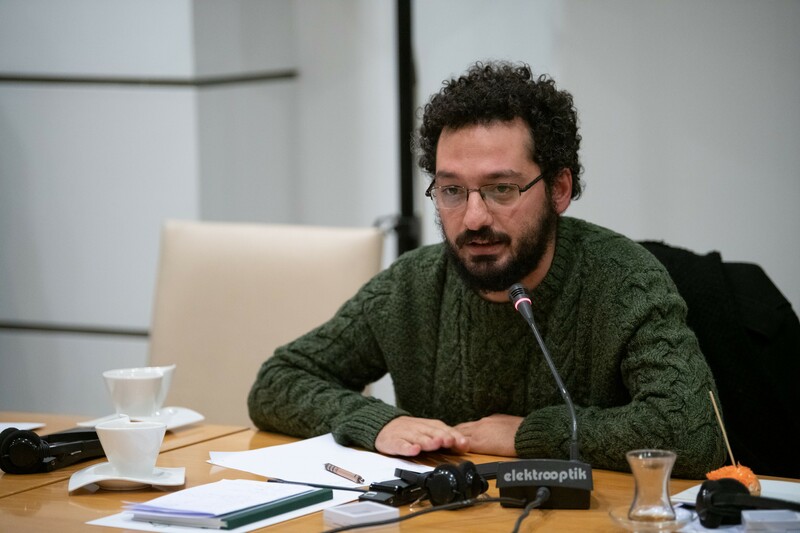 Noting that archaeological news has to be reported accurately and factually on the one hand but also expeditiously on the other, the SARAT Project team listened to what the members of both professions had to say about improving the quality of archaeological journalism in the run-up to the archaeology reporting workshops that are due to get under way in different parts of Turkey in 2018. 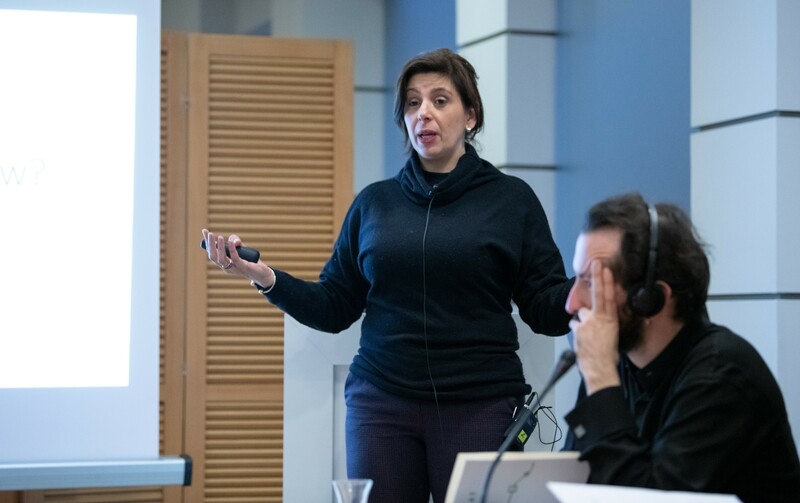 The meeting ended with a second session during which the Lebanese archaeologist and journalistJoanne Farchakh Bajjaly talked about the problems that conflict and war in the Middle East posed when reporting archaeology-related news.